Getuk Lindri is one of Indonesian traditional culinary. 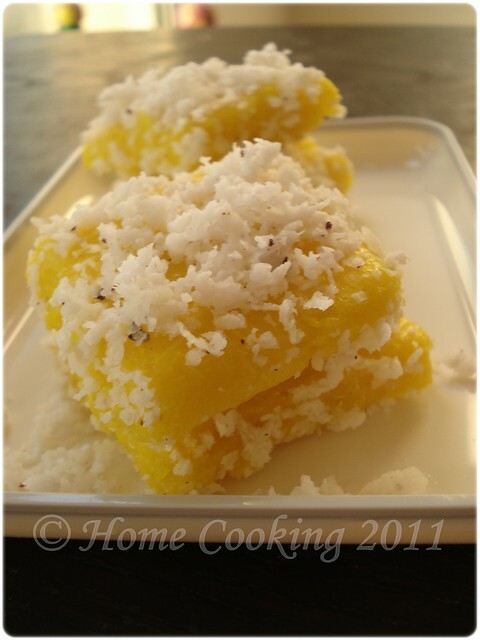 it is made from ground cassava with grated coconut. i missed getuk lindri when i was in my hometown last time. I couldn't found this getuk lindri in the market, i mean in the traditional market of course. its quite hard to find this dish nowadays specialy in my hometown. so here is my first attempted of getuk lindri, a very simple but taste good. Put in sugar and vanila in a pot with water and bring it to boil. Peel cassava, Steam cassava until soft and then Mash cassava while still hot and pour the water mixture and food color (what ever color you desired) and blend well. 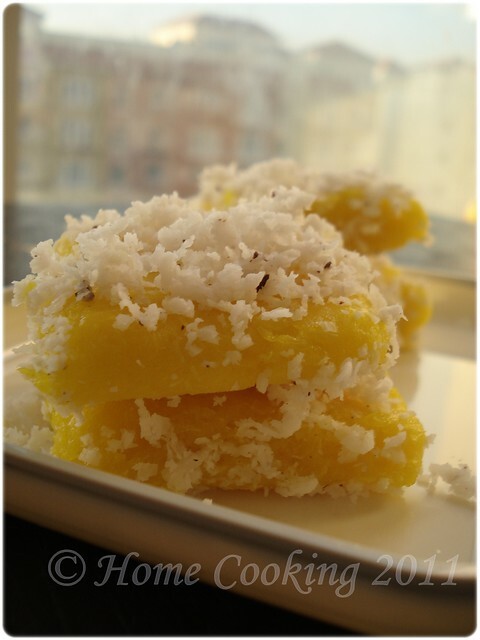 Shape as your desired, and last sprinkle with grated coconut.serve and enjoy it!